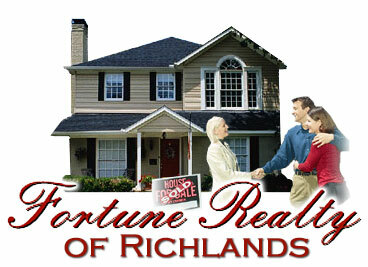 At Fortune Realty we offer you the service you expect and deserve for all your real estate needs. Whether you want to find the home that is perfect for you at the right price or sell your home for the highest possible price in the shortest amount of time - we are your agency. Locally owned and operated, Fortune Realty of Richlands has been serving the areas of Russell, Tazewell, Buchanan and Washington Counties since 1987. Our broker and agents are in the office five days a week and are available on weekends and evenings to show or to list properties. We will make every effort to accommodate your schedule. We work as a team at Fortune Realty. If one of the agents is unavailable we will refer you to another agent who can better accommodate you. At Fortune Realty we do not claim to be number one, but we promise to give you the best exposure and service available to sell your real estate. We also promise to act in a professional manner with absolute integrity and honesty.